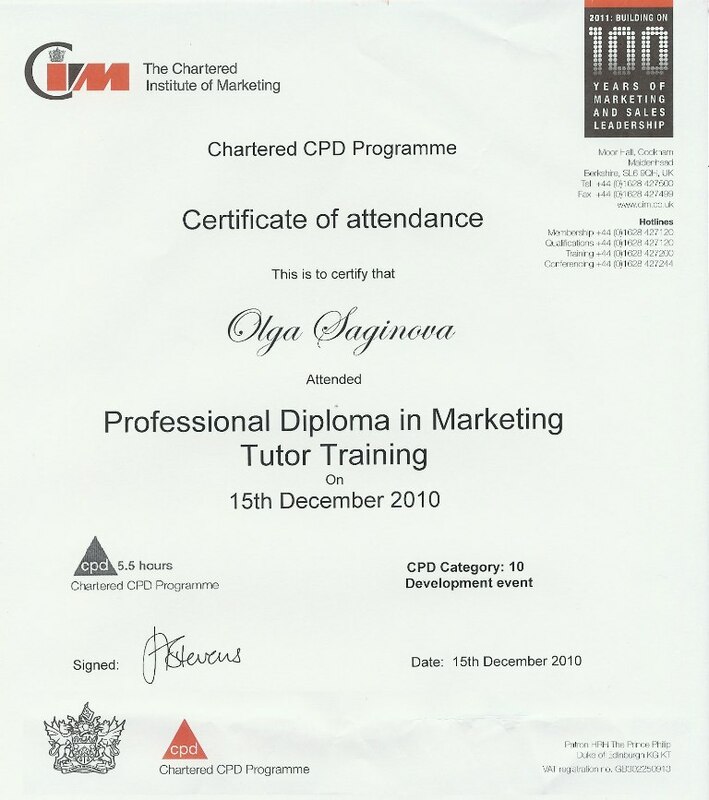 On December 15, 2010 the Dean of Plekhanov Graduate School participated in tutor training session at the Chartered Institute of Marketing (CIM). Held at Moorhall Cookham, the session was devoted to the new syllabus of the Professional Diploma in Marketing. O. Saginova was the only representative of the overseas CIM accredited study centres among more than 50 participants. On 30 November - 1 December an EFMD (www.efmd.org) Peer Review Team visited Plekhanov Graduate school in the process of EPAS accreditation procedure (http://www.efmd.org/index.php/accreditation-/epas-). Stephan Bourcieu Dean of ESC Dijon-Bourgogne (France), Cristian Sala, (Spain), Andrzej Popadiuk, Director of Management Education, Gdansk Management Development Foundation (Poland), Igor Baranov, St. Petersburg University Graduate School of Management (Russia) met with REU and PGS management, faculty members, students, alumni and employers. The experts reviewed Master of Management program content, assessment methods, faculty and students’ research, quality assurance system, etc. Their report will be later presented to EFMD Board to make a decision about accreditation. Plekhanov Graduate School is grateful to all who participated in the meetings and prepared the materials for the base room. We’ll be looking forward to receiving EFMD Board decision! 10th of December 2010 from 10 a.m. till 4 p.m. an International Conference "Russian Economy: after-crisis period", held by management faculty will take place in REU Plekhanov. Language of the conference and special section will be in English. On October 7-8 Plekhanov Graduate school (PGS) participated in the project seminar "Innovative development of the Plekhanov University". PGS Dean O. Saginova and Associate Dean D. Shtykhno acted as experts on Master programs development and shared their experience in program design and delivery. Seminar participants were interested in the quality assurance system at PGS, partnerships with businesses and foreign universities. Dear Students October 18-23 is time for International Guest week for Plekhanov Graduate. Plekhanov Graduate School is proud to announce that Thibaud Edouard Quinty has successfully passed the Plekhanov Graduate School Entry Exam with total grade 76 out of 100. Our congratulations! Let this stay be useful, interesting and pleasant for you! Please make yourself familiar with the Study Process information and Courses Registration procedure! Plekhanov Graduate School is proud to announce that on August 26th, 2010 by the order of The Ministry of education and science of Russia # 883 the Plekhanov Russian Academy of Economics was granted a status of University and became the Plekhanov Russian University of Economics.